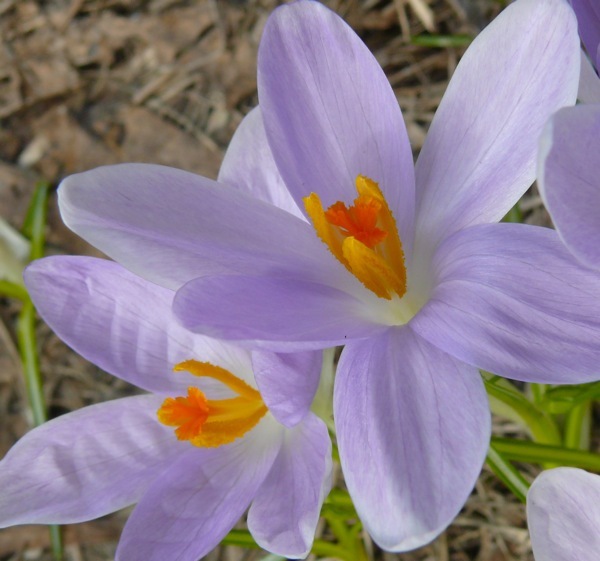 It’s really spring today – the spring birds are arriving, I found blooming crocuses, and saw my first moth and butterfly of the season. There’s been a steady wind from the south for the last few days, and the birds seem to be taking advantage of it. American Woodcocks, Red-winged Blackbirds, Eastern Bluebirds, American Robins, and Song Sparrows have all arrived in the last 3 days. And big flocks of Sandhill Cranes and Canada Geese have been flying overhead. 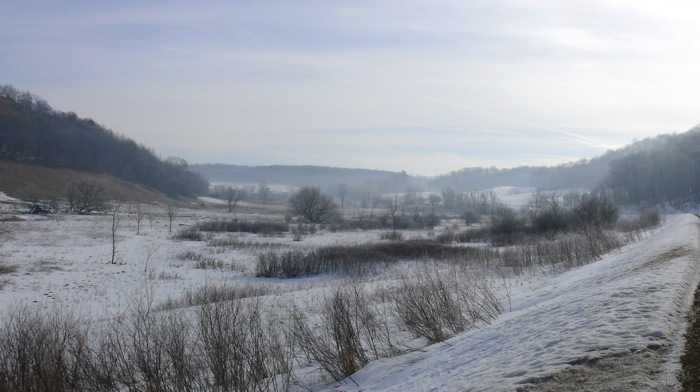 My farm bird lists always get longer in the spring – the one for this week has both winter and spring birds because the winter visitors haven’t left yet. The sounds have changed too: the year-round birds and the new arrivals are all singing their spring songs. I saw my first ‘leps’ of the season today – first butterfly and first moth. 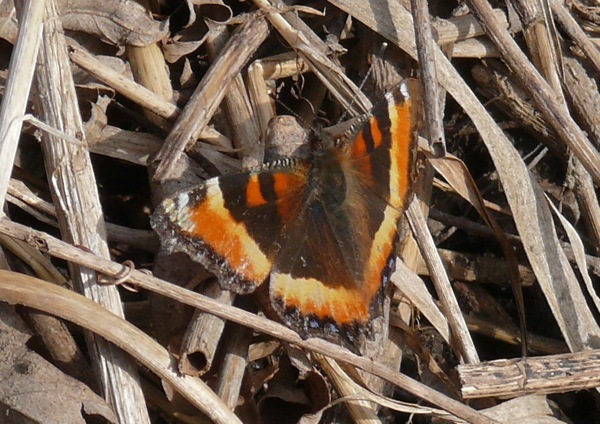 The first butterfly was a Milbert’s Tortoiseshell – flitting along the edge of the driveway near the creek. It’s pretty old and tattered – it’s been living the whole winter as an adult. I saw this moth in the wetland, but I haven’t been able to identify it yet. I’ll keep trying. 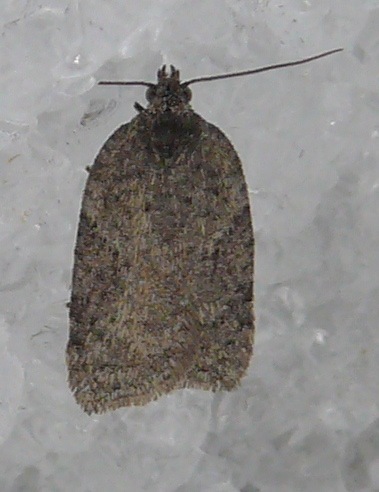 It’s very small – about half an inch long. There was an old farmhouse on this land, which burned down before we bought it. 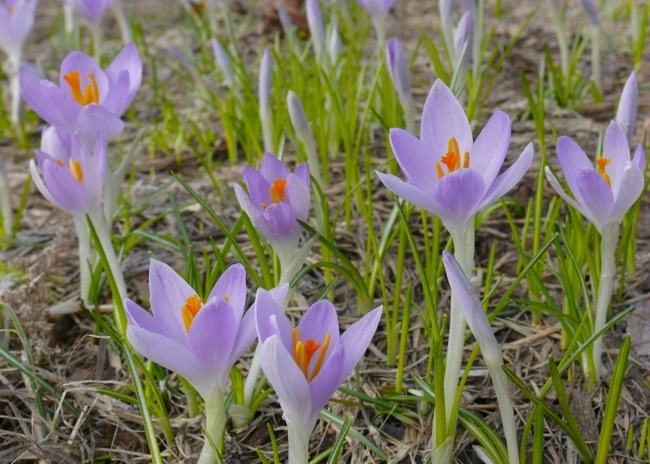 But the yard is still there, and some of the garden flowers still bloom. 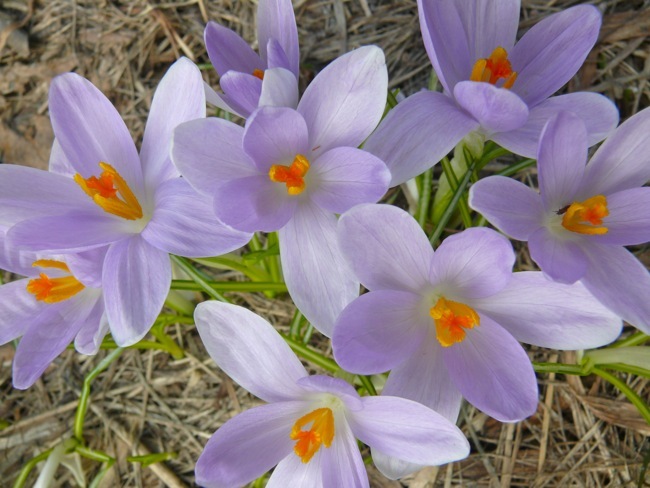 Today I found the crocuses – dozens of them. 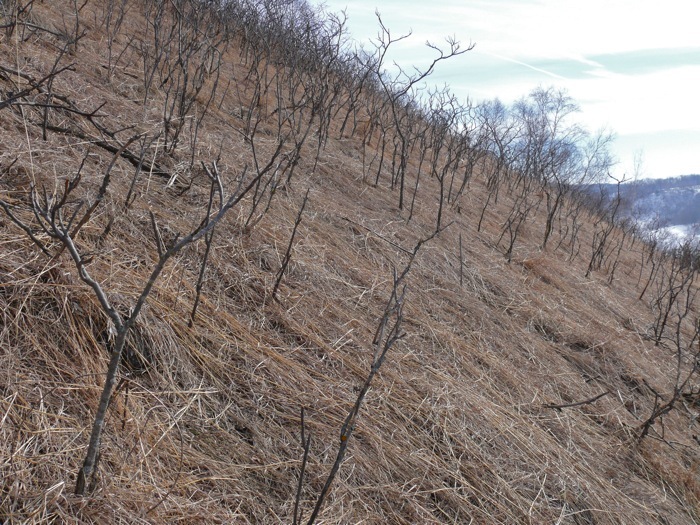 Now that the snow has gone from the bluff prairies, I’ve started doing some clearing work on Sumac Prairie. Here’s a view from the road. 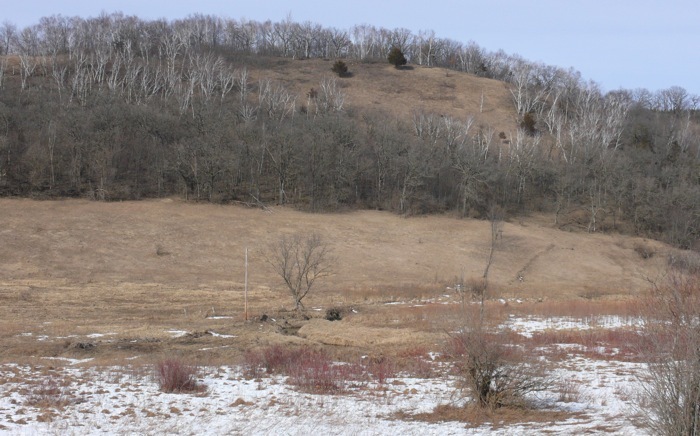 This is one of the slopes I’ve been working on – most of the shrubs are sumac, and the plants under them are prairie grasses and flowers. One morning I walked out just as the sun was coming up. 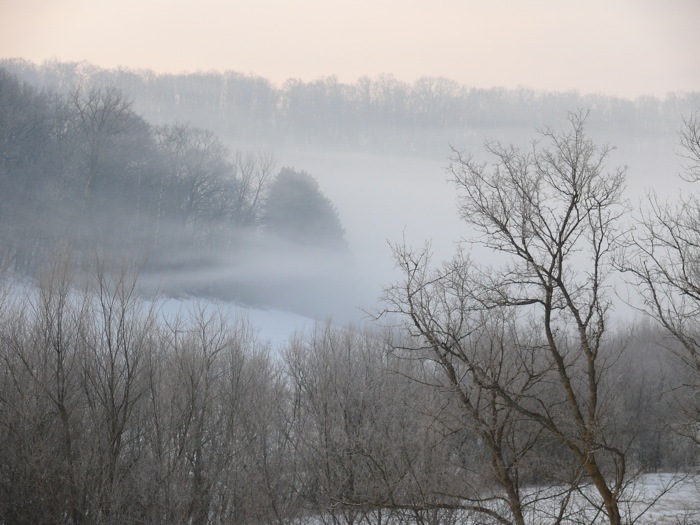 Center Valley was full of mist. The mist cleared as the sun came up. And when the sun hit the prairie, mist rose up from the grasses. 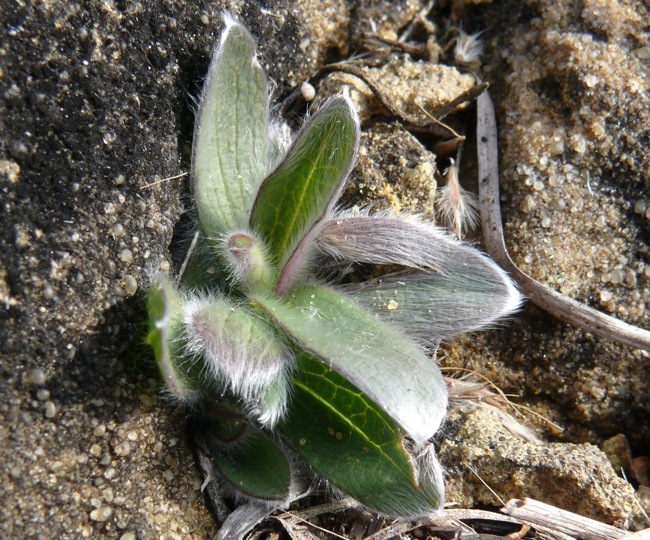 A tiny rosette of Silky Aster in one of the sandy spots on Sumac Prairie. 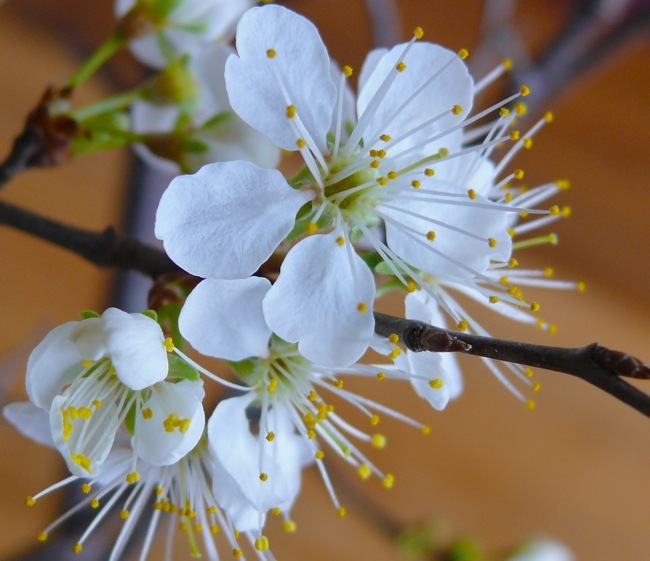 This is a branch of Wild Plum that I cut and brought inside a few weeks ago. It smells like spring.